Makeup brushes are an essential component of my daily makeup routine. I use a variety of brushes to apply my makeup products, and finding the right ones can truly transform the way your makeup looks. It is very useful to have multiple brushes in your collection. 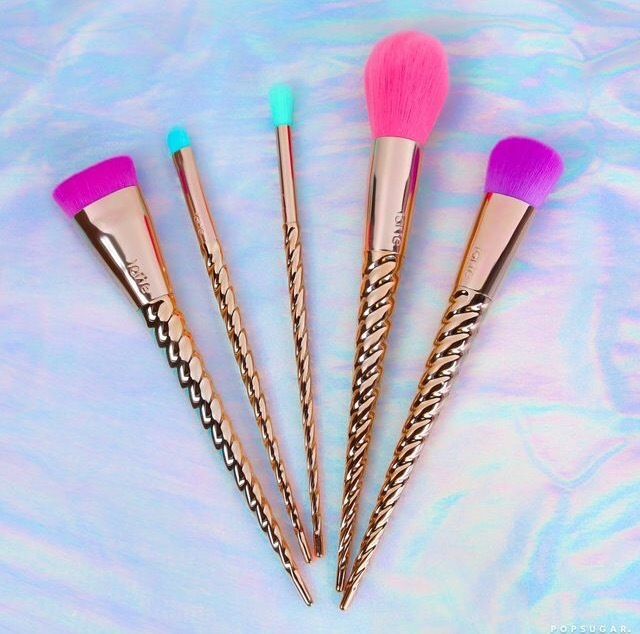 This guide to makeup brushes covers everything you need to know about how to use them! A powder brush has long, fluffy bristles to distribute powder (think loose, translucent powder) evenly across the face without leaving the skin feeling caked. A blush brush is slightly denser than a powder brush, and has smaller bristles. Most blush brushes feature a dome-shaped head that allows you to apply concentrated colour that can be built and blended. Contour brushes are usually angled and have softer, dense bristles that allow you to apply a concentrated amount of product to the face. The angled shape of this brush should fit snugly underneath your cheekbones for precise bronzer application. This type of brush has a flat top with soft, voluminous bristles to apply bronzer, blush or other types of powder products. A kabuki brush works well to buff product into the skin or into specific areas such as the forehead. Foundation brushes come in a variety of shapes (angled, flat, fluffy) but the most common type is flat. The flat shape of a foundation brush is perfect for applying liquid or cream foundation to the entire face before percise blending. This type of brush has a dual purpose – it can be used to apply highlight or to clean up any excess powder on the skin. These brushes have lightweight bristles and are shaped like a fan to delicately apply powder highlight to the cheekbones and nose. These bristles also work well to dust away excess powder from the skin. A concealer brush is typically small and flat to enable precise application to the nooks and crannies of your face. This brush is ideal for applying concealer underneath the eyes, near the nose, or the forehead. Eyeshadow brushes come in a variety of shapes. A fluffier eyeshadow brush works best to apply shadow to the lid and blend it out. Smaller, pointed eyeshadow brushes are perfect for applying eyeshadow into the crease or corners of the eye. Most eyeliner brushes are slim and ultra-fine. The type of eyeliner brush I use has an angled edge to create thin, precise lines with a cream or liquid eyeliner. Angled brow brushes are ideal for applying all types of brow products (think powders, waxes and pomades). These brushes have a spoolie on the end to groom brows and blend the product once applied. These brushes have a pointed tip to precisely apply lip colour from the tube. A lip brush lets you build the intensity of colour, or to outline and fill-in the lips. 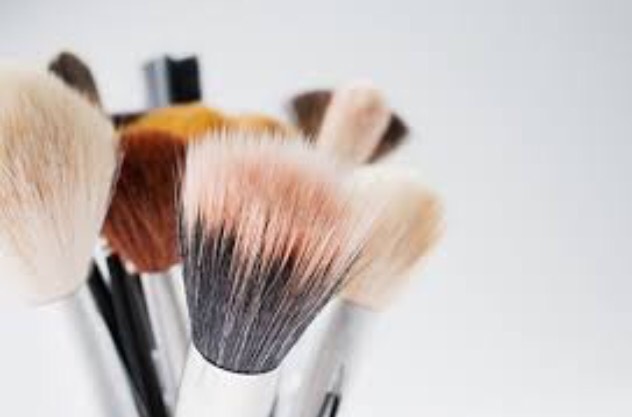 Are you guilty of neglecting to clean your makeup brushes regularly? Keeping your brushes clean is a great way to prevent product build-up and maintain clearer skin. Here are three tips you should know when cleaning your brushes! Spritzing an anti-bacterial spray onto your brushes will eliminate bacteria and it will dry quickly. This is a simple method if you are pressed for time! Simply spray your brushes and let them dry. I like to use a daily brush cleanser after every use, and deep-clean each brush once a week. This is especially important if your brushes are exposed to air for long periods of time. I gently clean my brushes daily with a daily cleaning spray, and deep clean them weekly with a gentle soap. Sometimes brushes can become hard and flat after cleaning. Introduce a dab of conditioner into the bristles of the brush to keep them soft and smooth. With a variety of makeup brushes out there, it can be overwhelming to find the perfect one for you. Each brush comes in a different shape, size, and format. Today I offer a complete guide to the types of makeup brushes and how to use them. This type of brush is angled to distribute blush into the apples of your cheeks. Dip this brush into your favourite blush then hold it at an angle and brush along your cheekbones. Angled foundation brushes achieve the same purpose for foundation. A concealer brush has rounded edges. This shape makes it easier to apply concealer to the nooks and crannies in the face. To use on blemishes and under the eye, apply the concealer in a patting motion. These rounded brushes are stiff, yet soft. Use this brush by buffing makeup into the skin in small, circular motions. A buffing brush is multipurpose. It may be used for foundation, concealer, blush, or powder. Bristles are long, soft and flexible. Stippling brushes contain duo-fiber bristles. Use a buffing motion with this brush to blend product into the skin. These brushes are rounded with sofr bristles. The shape allows for easy blending. This type of brush is ideal for applying blush, highlight, or bronzer. A blush brush is shaped well to blend product. It is also a good shape to apply powder with. A fan brush is flat and fanned out. It is flexible for gentle contouring or to sweep away excess powder. Foundation brushes are flat and dense, with rounded ends. This type of brush works best when using small brush strokes to apply and blend. A foundation brush is suitable to apply foundation and concealer. It is also useful to blend cream products into the skin.